He arrived into the franchise’s eponymous London train station direct from deepest, darkest Peru in 1958. 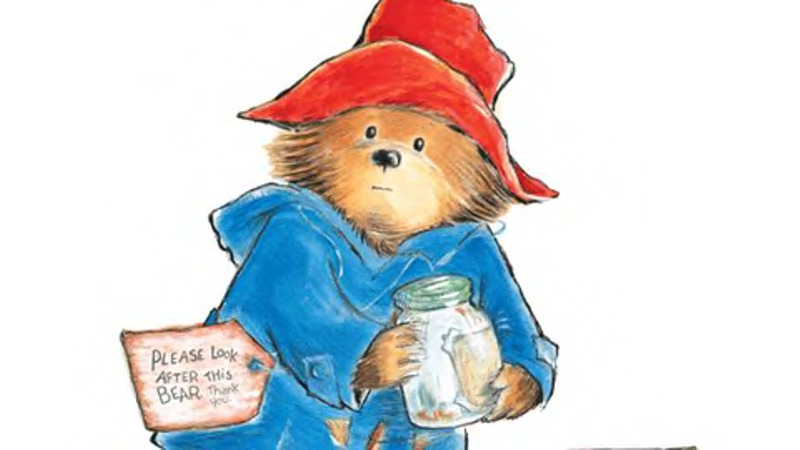 Since then, he has laid claim to more than 25 books— with over 30million copies sold— and two big budget movies, not to mention a host of tie-ins, from M&S to Royal Mint and Visit England..
You don’t have to be a marmalade sandwich-guzzling mammal to realise we’re talking about the one and only Paddington Bear, who just turned 60 years young and is now worth hundreds of millions. An enduring icon of global kids culture, transcending eras, media and languages, he’s a classic example of a character-brand. But what gives him such longevity? When creator Michael Bond first came up with the idea for Paddington he hit the motherlode in terms of widespread appeal. *Mystery — we don’t really know where Paddington has come from, aside from somewhere in Peru, or how he managed to get to Central London. Potential backstories abound, then, and scores of opportunities for new plot lines, interests and attributes to be added as time goes by. 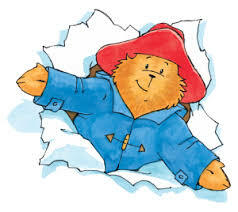 *Cuteness — although the recent Pathe movies didn’t really hit this aspect on the head, let’s face it, a bear in a little red hat and blue raincoat, carrying a small suitcase, who wears a luggage tag with instructions for someone to ‘look after’ him is about as sweet as it gets. Awww. *Mischief — he doesn’t mean to, but Paddington often causes chaos. From the first book, where he gets lost and makes a scene on the Underground, to lawn-mowing mishaps and ill-fated driving tests in later instalments, expect the unexpected, and mess, whenever the bear’s about. 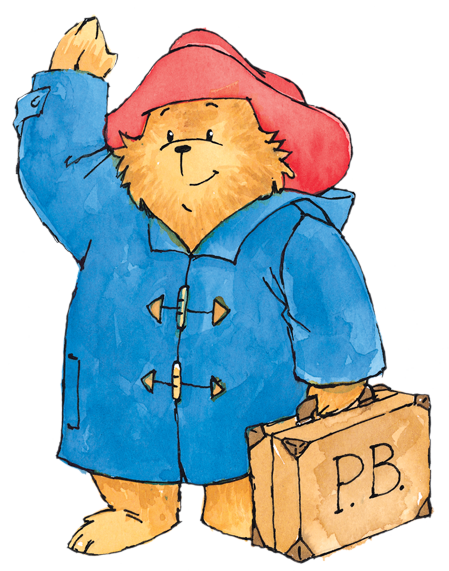 *Manners and morality — even when he’s covered in marmalade on a canal boat at risk of sinking, Paddington is always very polite. As if that wasn’t lesson enough for young readers, he is a stickler for right and wrong, loyalty and looking out for the loved ones that often act as motivation. *A born trier — Paddington is defined by misadventure and managing to get just about everything wrong. Nevertheless, he really, really does his best to get anything he does right, which is commendable to say the least, and usually manages to overcome adversity, just not in the most obvious or useful ways. What all those traits share in common is humanity, despite the fact our main chap is a bear. We can recognise ourselves in just about all of them— mistakes are made, we have vulnerabilities, enjoy lighthearted scrapes and have an inert desire to understand the world around us as much as possible. In the GreenBook blog’s Big Ideas series, Jim White of RealityCheck Consulting identified five qualities that great brands and characters have in common. *Agency— both take action, make things happen, and are very much in charge of their own destiny. Nothing is decided for them. *Motivation — there are clear reasons behind what they do. See this recent post on brand purpose by Smoking Gun MD’s Rick Guttridge [LINK] to understand how important this is, particularly if you want to market to millennials. *Conflict — it might not be obvious, but there will always be conflict where there is strength of personality. Brands and characters are alike in their battle to win, whether the victory is improving a marketplace or helping someone beat the odds. *Complexity — a company needs to have more than one-dimension to its personality in order to avoid becoming stale. So do characters, especially if they want to stand a chance of lasting six decades. *Unexpected actions — nobody wants to buy into something that’s completely predictable, even if you’re obsessed by safety and security. Good brands and great characters can be reliable, but they must also surprise us in order to keep things fresh. As you can see, then, Paddington’s core traits can be aligned to the five qualities that strong brands and characters seem to share. This explains his appeal, and longevity, and should go some way towards inspiring your organisation to ensure it follows suit in its own, genuinely unique way.